Tires are what connect your car to the road, and keeping them in their best condition means creating the safest environment for you and your loved ones. But knowing how to take care of them can be difficult when you don’t know much about cars. For all of our customers, old and new, we’ve created a helpful guide to the parts of your tires, and what you can do to prevent tire failure. If you are in need of immediate tire repair in Huntington Beach, be sure to schedule a service appointment with our team at Norm Reeves Honda Huntington Beach. When you come in to get your tires checked at Norm Reeves Honda Huntington Beach, we’ll check out a few basic components of your tires. The first thing we’ll check is your tread level. Tread provides an important containment space for compressed air between the road and your tire, which gives you traction (or grip). This allows you to maintain control of your vehicle in hazardous weather conditions like rain or ice. We’ll measure the air pressure in your tires so you’ll have a smooth ride. The air in your tires absorbs the shock of curves, bumps, and debris in the road. Maintaining the correct air pressure prevents damage to the tire, wheel alignment, and suspension system. Driving with the incorrect tire pressure can cause your car to become misaligned, or cause tire failure. We’ll also check out the sidewall of your tire. We can check to see if the sidewall is healthy by ensuring there aren’t any cracks, swelling, or blisters. It should be uniform all the way around. If it isn’t, it could be from driving without the proper air pressure, or from tire failure. With any of these symptoms, the tire will need to be replaced. Keeping your tires healthy is an important factor in overall car health. Tires provide shock absorption and traction, but they also affect wheel alignment which is key to ensuring you maintain control of your vehicle. Without proper alignment, your car may drift and pull, causing you to deviate from your intended path. Having a wheel misalignment can also cause uneven tire wear, exacerbating the problem to begin with. Misalignment and uneven tread wear can then lead to trouble for your suspension system, and increases the probability of tire failure. For a tire that consistently loses air pressure, bring it to Norm Reeves Honda Huntington Beach. It likely has a leak, which could be easily fixed. Have your wheels aligned about every 6,000 miles. This will help prevent uneven tire wear and prolong the life of your tires. Don’t drive on bald tires. They can cause you to slip, slide, and get into a possible collision. From regular maintenance, to replacing when necessary, Norm Reeves Honda Huntington Beach is the best place to get your tire maintenance. 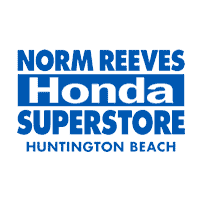 With convenient service department hours, online scheduling, price comparison, and customer reviews right on our website, we’re confident you’ll have a great experience at Norm Reeves Honda Huntington Beach.